When Indiana Brinton passed away all of the material, books, posters and movies that she had collected over the years was taken by her executor who had hoped to sort out its historical significance. 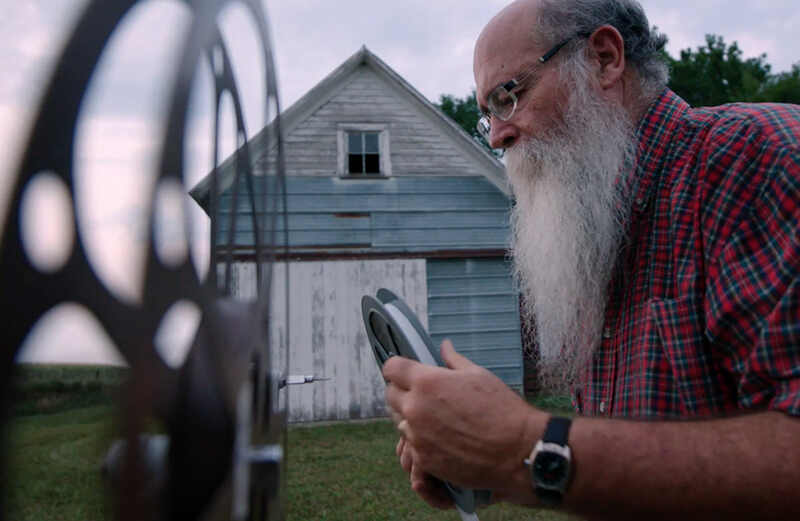 It seems she and her husband has spent decades touring the Midwest of America screening films in the true infancy of motion pictures. What she left behind was a vast collection that related to film prior to 1910. When the executor died he still had the collection which was taken over by Michael Zahs who kind of sat on the material for another 30 years. With the need for room Zahs turned the material over to the University of Iowa’s Special Collection and wondrous things were discovered. 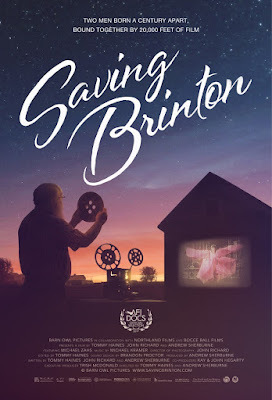 SAVING BRINTON is a curate's egg of a film. On one hand it is a beautifully rendered portrait of Michael Zahs who happened upon the belongings of the Brintons, but on the other hand the film doesn’t show us a hell of a lot of what was in the collection. I absolutely loved the film but was left kind of unsatisfied the film. And before anyone points out that the condition of the items and the films in the collection I have to say that know some stuff is in rough shape. At the same time we should have been shown as much of the collection as possible and not just followed Zahs around. He’s an interesting guy but how many times do we need to see him eating at a social? Of course I’m nitpicking. I mean I love the film, but there was this point about an hour in when I suddenly realized that the one thing I wanted, which was to see more of the collection, wasn’t going to happen and I kind of deflated. I wanted to feel like Serge Bromberg and look at these wondrous things but we didn’t get the chance. Despit my reservations SAVING BRINTON is a must, more so if you’re like me and bleed moving images.